In her general dental practice, Dr. Brayman offers comprehensive services for all ages, protecting the dental health of entire families. 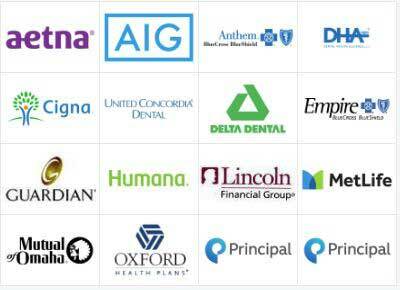 She’s also proud to be a Preferred Provider of Invisalign® Orthodontics. 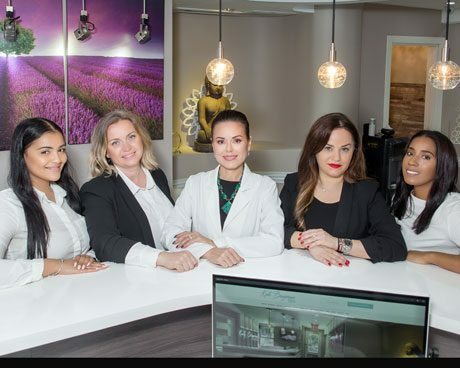 Her cosmetic dentistry practice provides advanced treatments performed with the eye of an avid artist, delivering results that exceed patient expectations. 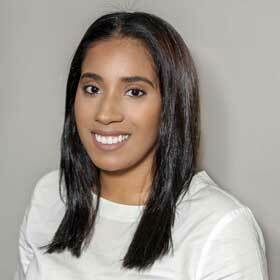 Dr. Brayman attended the New York University College of Dentistry, and after receiving her Doctor of Dental Surgery degree, completed her dental residency at Peninsula Hospital Center in Far Rockaway, New York. She also received additional training at the Advanced Program in Comprehensive Dentistry at New York University, where she specialized in porcelain veneers and dental implants. Dr. Brayman is board certified by the North East Regional Board of Dental Examiners and is a member of the American Dental Association, the New York State Dental Association, and the New York County Dental Society. 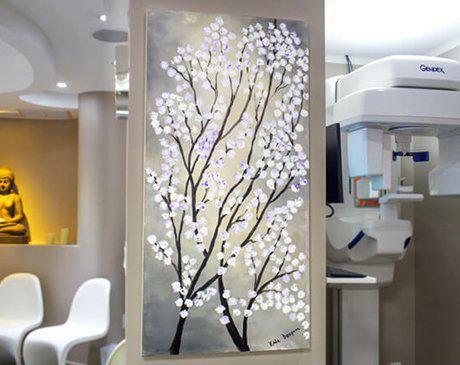 Her passion for art is seen throughout her practice, with calming colors and artwork that gives patients a peaceful focus and helps relieve anxiety. Dr. Brayman makes all patients feel welcome because in addition to English, she’s fluent in Spanish, Russian, and Ukrainian. The search for cosmetic dentists in NYC can be a hard one. But at the practice of Kate Brayman DDS, we make your visit as quick, safe and as cost effective as possible. Our friendly, knowledgeable staff caters to the needs of each individual patient, recognizing their unique needs and treatment priorities. It all starts by walking through the door of our beautiful NYC practice. 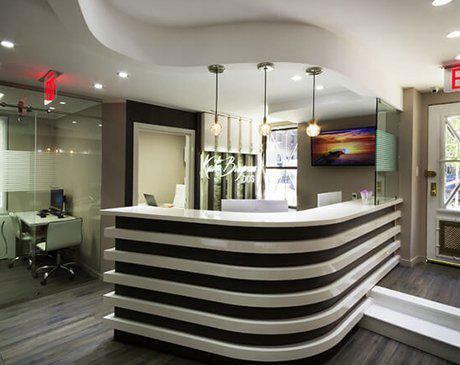 With warming and calming decor, we have specifically designed our office not resemble a typical dental office, but a place of happiness and health. 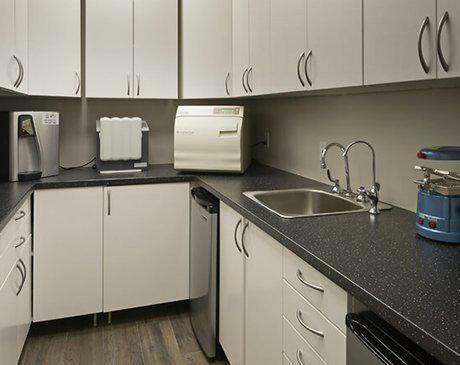 Click through the gallery below to see our comfortable, well appointed, state-of-the-art facility. 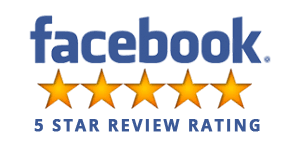 We have 590 reviews around the web with 4.8 stars average! Fantastic service in a gorgeous new office. Staff is so courteous and professional. They even helped calm down my baby as she got antsy at the end of my cleaning. Walking into Dr. Brayman’s office feels like entering a calming medispa as opposed to a cold uninviting dentist’s office. I started going to Dr. Brayman several years ago, and I always feel confident that she uses the best practices and equipment in caring for my teeth. Dr. Brayman is a true professional and a very nice human being. She is skilled in the art of dentistry. 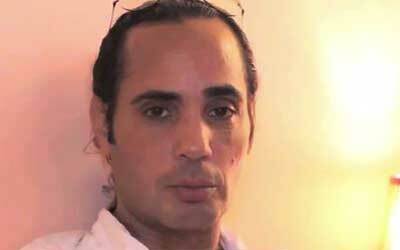 I recommend Dr. Brayman with no hesitation. We offer specialized treatment geared towards considering the mind, body and soul with holistic dentistry practices. Visit us today to see how we can offer treatment for those who wish to maintain their healthy lifestyle. For more information, please visit our Holistic Dentistry page. Cosmetic dentistry is the process of maximizing the value, beauty and strength of your teeth for both aesthetic and medical reasons. 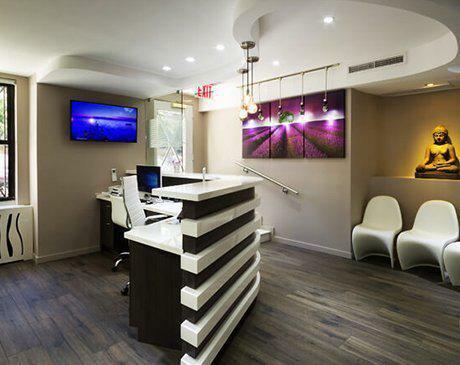 Whether you opt for a teeth whitening or porcelain veneers, our NYC cosmetic dentistry office is dedicated to providing all the services you may need. Dr. Kate Brayman welcomes patients of all ages, from toddlers getting their first teeth through grandparents facing age-related dental issues. 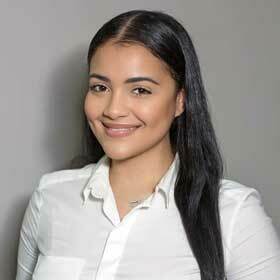 Contact Kate Brayman DDS in New York City to schedule an appointment for everyone in your family. We provide the general, restorative, and cosmetic dental treatments needed at every age. 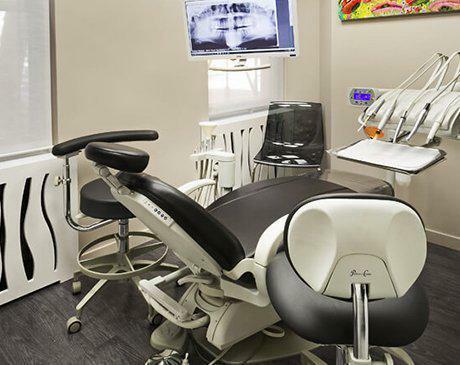 Our restorative dentistry practice in NYC offers a variety of corrective solutions procedures to fix chipped and broken teeth, cavities, tooth loss and other dental mishaps. Our office takes pride in helping you achieve a beautiful, perfect smile. 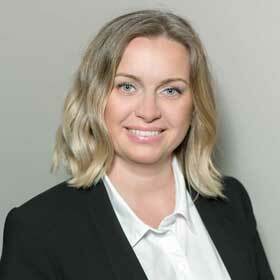 Dr. Kate Brayman is an expert at taking away any dental insecurities our patients may feel. 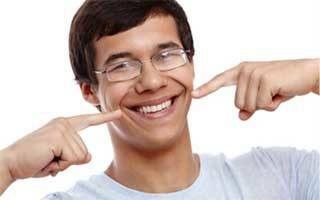 Braces have become one of the many stepping stones of growing up for young adults. Traditional braces are cumbersome and often associated with painful oral side effects such as torn flesh in the mouth and swollen gums. Recently, however, there has been a revolution with the advent of Invisalign, offered by NYC orthodontist dentist Dr. Kate Brayman. A beautiful and captivating smile will always enhance the appearance of a person in the best possible manner. In order to draw in the attention of others, we offer cosmetic dental solutions for teeth disorders. 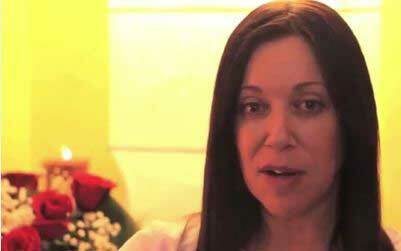 Getting porcelain veneers in New York is easy with Dr. Kate Brayman. For more information, please visit our porcelain veneers page. Dental implants are one of the most common procedures performed by Dr. Kate Brayman. Dental implants are devices to support restorations in an individual’s jaw bone. Typically, these titanium implants are used as a replacement for missing teeth. It is placed in the bone of a patient’s jaw. For more information, please visit our dental implant page. 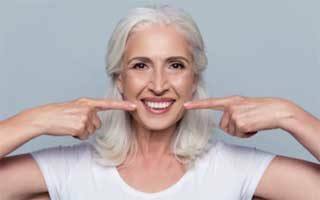 A beautiful smile can improve confidence and self-esteem. If a patient has stains or discoloration on their teeth, our cosmetic dentist in NYC can help with corrective teeth bleaching to whiten all the teeth. 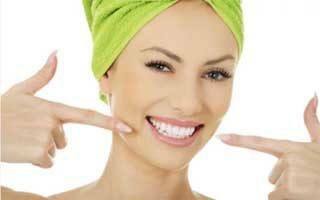 Teeth whitening is one of the popular cosmetic dental procedures offered. For more information, please visit our teeth whitening page. We encourage patients to implore healthy oral hygiene and cleaning techniques to defend against potential periodontal diseases. Our dentist provides a number of periodontal surgery treatments in NYC that lend to the fight against gum diseases. For more information, please visit our Periodontal Surgery page. Dental crowns are used to address problems such as broken or cracked teeth or tooth decay. A permanent covering in the form of a cap, otherwise known as a dental crown, will be placed over the tooth. This procedure is commonly used following a root canal to protect the exposed tooth. 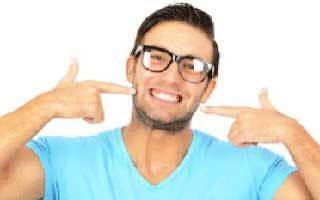 When you have decayed or damaged teeth, the best option is dental bonding. Dental bonding in NYC is a procedure that involves applying a resin material that has the same color as your teeth. This procedure can also be used to repair cracked teeth, fix discolored teeth, fill gaps and elongate teeth. Teeth grinding and clenching while sleeping is a common issue among adults who suffer from anxiety and/or general stress. From this grinding, serious conditions can arise such as TMJ and severe migraines. Treatments in NYC for teeth clenching consist of nighttime mouth guards that prevent a person from grinding and clenching in their sleep. The most important dentistry fact is that prevention is always better than curing. By solid maintenance, your oral hygiene will be strong and disease free. We offer dental cleanings to remove pesky dental plaque from your teeth to prevent cavities and gingivitis. General check-ups are also great ways for early detection in the event of tooth loss or gum disease. There are times when scheduling an appointment is not possible and the best course of action is quick and immediate dental care. Depending on the level of pain and discomfort, there may not be adequate time to search for an emergency dentist in NYC. At the office of Dr. Kate Brayman, we offer emergency dental care for those who need it. Root canals are meant to treat a tooth, or teeth, that are experiencing decay, or infection. A root canal is a procedure advised to patients who need treatment in the insides of the tooth, the pulp. An infected or dying tooth is a serious matter that needs to be addressed immediately before the situation escalates. 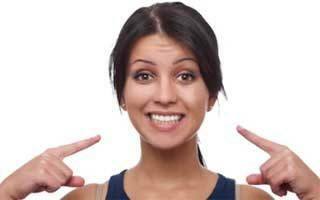 For more information on root canals, please visit our root canal page. 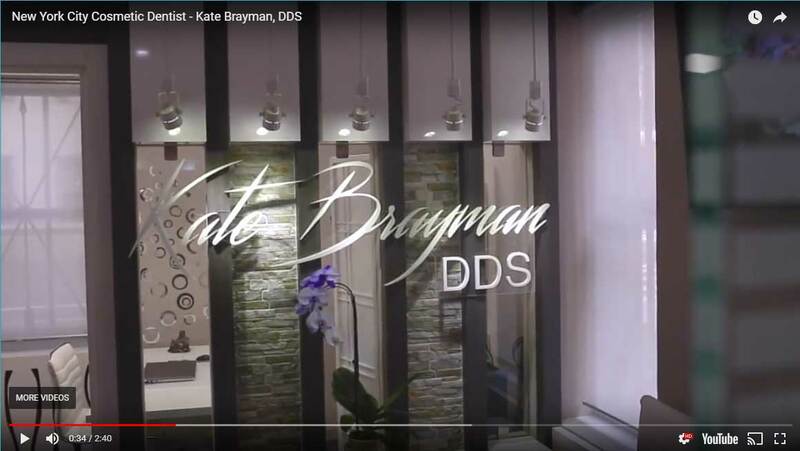 When you need a tooth removed, Dr. Kate Brayman makes sure that you’re comfortable and free of pain throughout the procedure. 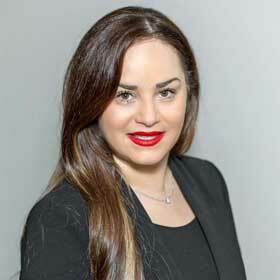 Contact her practice, Kate Brayman DDS, in New York City, any time you have a damaged tooth or dental pain. Her first priority is to save your teeth and keep them healthy, but if necessary, you can count on her experience for a safe extraction.